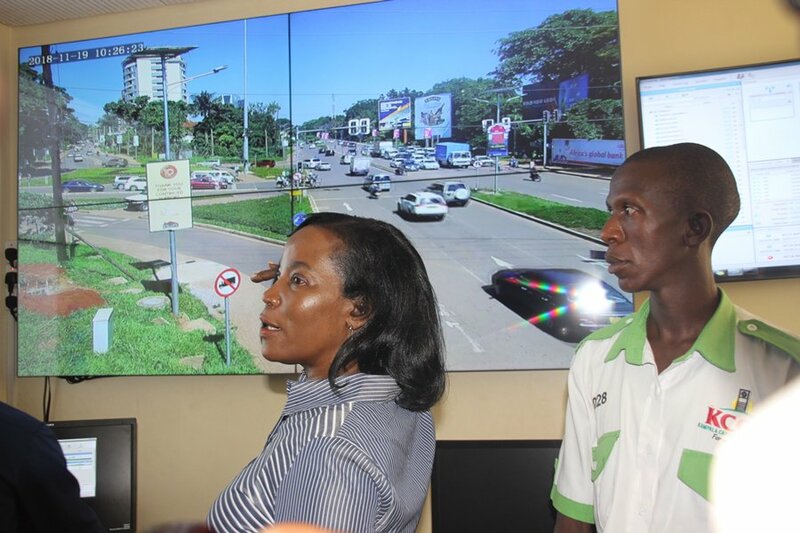 KAMPALA– The Kampala Capital City Authority (KCCA) outgoing executive director Jennifer Musisi on Monday, November launched a traffic control centre whose purpose is to ensure proper traffic flow at the various city junctions. Speaking at the lunch, Musisi said the centre will only ensure easy traffic flow but will help in ensuring safety for road users. “Currently we have 40 CCTV [closed circuit television] cameras installed and fully functioning at different city junctions,” said waring that these will be used to easily identify any accident if there is, as well as taking necessary steps like informing the police or calling an Ambulance. Musisi said the cameras will work without disruption because they have power backups in case of blackouts and that in the coming years, the Authority will install more cameras at 75 junctions which will later be connected to the national CCTV network. The newly launched centre is located at the Kampala City Hall and it covers 12 junctions whose traffic flow will be monitored 24 hours a day via CCTV. “With the help of these cameras we shall just be looking into records in case of any accident and arrest those drivers who always knock people and runaway,” he said. The currently monitored junctions include Kabira 1 and 2, Kira road Police junction, Fairway junction, Makerere main gate, Junjju Road, Gaddafi road, Kyadondo Road, Sir Apollo Kaggwa road, Nakulabye junction, Bukesa and Mengo SS. The new control center is a pilot for a bigger project which will be fully implemented in few years to come. The project is financed by World Bank, Japan International Cooperation Agency (JICA), Uganda and the African Development Bank.